Robert Dawson captures the magnificent horizon of 4 Peaks in Arizona. 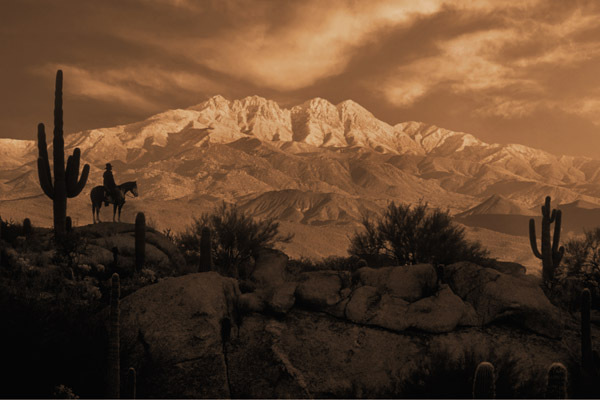 In the desert east of Phoenix in the Tonto Natonal Forest, these majestic mountains are prominent in the eastern skyline of the city. The northern-most summit is named Brown's Peak, but the other peaks are unnamed.